Vodafone has created an air traffic control system for drones that could eliminate airport trespassing and drug smuggling, while bringing delivery drones a step closer to reality. Drones are too small to be tracked by conventional radar systems, but Vodafone has created a 4G network SIM card that makes them visible on air traffic control systems and allows operator greater control if they go off course. The world-first Radio Positioning System can track a drone in real-time with up to 50 metre accuracy by the operator and authorised bodies like air traffic control. 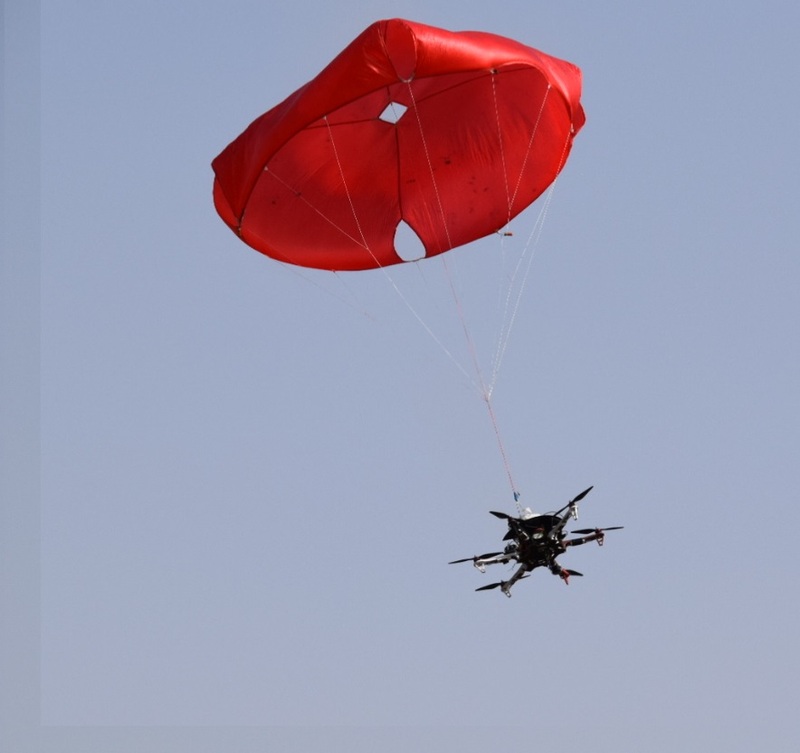 It can force a drone to land automatically or return to the operator if it approaches excluded zones like airports and prisons. It also has an emergency override function. The phone company has been working with European regulators to create the system and have already tested it on a 1.3 metre wingspan, 2 kg X-UAV drone. Throughout the preliminary trial – which took place over a 32km course around the town of Isla Mayor, near Seville in Spain – the drone transmitted a real-time HD video feed and flight data including speed, RPS location and GPS coordinates. If this new system is adopted by the European Aviation Safety Association (EASA), drone manufacturers will need to create a slot for the SIM card, similar to mobile phones. Vodafone said the cost of a SIM was still on the table as the technology was still in early stages. SIM cards would not necessarily need to be using Vodafone’s network, and could just be switched on in an emergency, if a drone went off course, Vodafone told the Telegraph. Regulators have been on the hunt for a technology that could help mitigate the serious risk drones pose for pilots and passengers on commercial flights. In 2017 a drone “put 130 lives at risk” after it nearly hit an aircraft approaching London Gatwick and MPs said they planned a crackdown on drones following several near-misses reported in and around Britain’s airports in recent years. 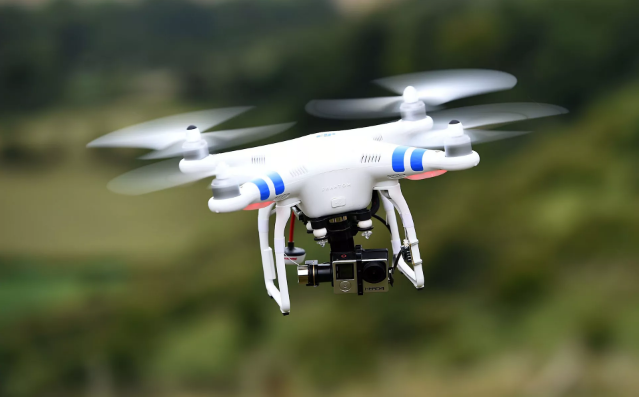 Drones also pose a challenge for prisons, where inmates are able to receive contraband that is dropped straight into recreational areas. In November last year footage emerged of a plain clothes detective bringing down a drone trying to smuggle drugs into Pentonville Prison. A rise in prisoners’ access to phones and drugs suggest that many drones go unnoticed. The technology could, in theory, be adopted by Amazon, which is hoping to use drones to deliver goods to customers within 30 minutes of ordering. It has already been testing drones in Cambridge, UK. By 2050 drones will log more than 250 million flying hours per year over densely populated areas of the European Union, seven times the cumulative annual flying hours of passenger jets, according to the Single European Sky Air Traffic Management Research (SESAR) project. “We welcome Vodafone’s focus on developing new approaches to ensure safe and responsible drone use,” said Yves Morier, principal advisor to the flight standards director, EASA.